It’s a common belief amongst those that know a little about whisky that the regulations governing the production of Scotch are too conservative. In fact, it was only January this year that news broke of one large producer who was allegedly making “secret moves to amend the scotch whisky regulations” - allegedly borne of an interest in finishing whisky in tequila casks - and sparked a whole debate about whether the rules set and managed by the Scotch Whisky Association (SWA) are too strict and therefore stifle innovation. The SWA has a somewhat unenviable task in this regard, as it is required to find the almost imperceptible balance between allowing the industry to develop and advance technologically while maintaining the precise rules that guard the quality and reputation of Scotch whisky worldwide. This is where the tension lies. Everyone agrees that the reputation of Scotch whisky is a valuable asset and one worth protecting, but many also believe that the industry needs to keep evolving. Even the fact that there is an independent body that exists to police the category could lead you to believe that the Scotch whisky industry is a place where innovation is scorned, seen as dangerous or avoided. Fortunately, while the current regulations do set down some strict criteria, they also allow a lot of scope for experimentation. The entire whisky industry was, after all, born from the very real process of experimentation. How else did the first pioneers of distillation in Scotland progress from reading ancient alchemical works from Persia to creating a range of local interpretations of aqua vitae based on the ingredients of the monastery or university garden? Why, they experimented of course. Since then, the process (and the regulations) have tightened up, but there is still plenty of space for innovation in this ancient and revered process. Yes, the rules may require malted barley, but they also permit the addition of whole grains of other cereals – this is how some producers have been allowed to use heavily roasted ‘chocolate malt’ for example. Producers can also use rye as well as barley, and a Fife-based distillery will shortly launch Scotland’s first rye whisky for over 100 years. How to innovate in whisky? 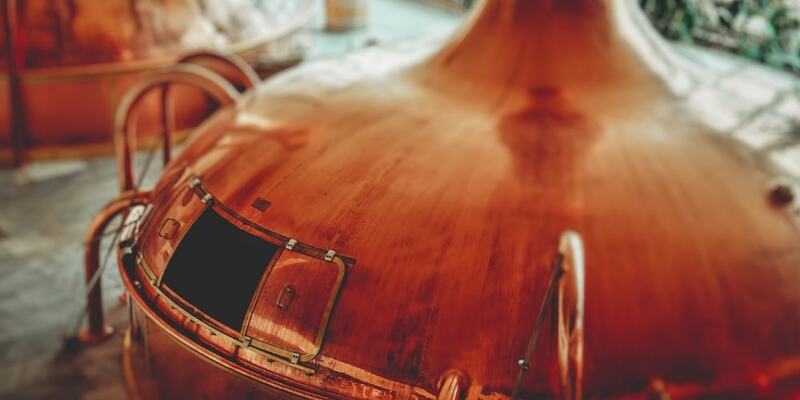 And even though the rules require Scotch whisky to be fermented, distilled and matured in Scotland for at least three years, innovative producers can still tinker with the use of peat during malting, or with many other stages of the mashing, fermentation or distillation process. Arguably the most common tinkering time, however, comes after distillation, in the slowest moving, most relaxed part of the whisky-making process. The silent, sleepy maturation years. This is because choices in this area have a significant impact. Whisky spends most of its time in the cask, and as a result is heavily influenced by the wood and the amount of contact and interplay with the previous contents. Yes, the SWA regulations have insisted on oak casks since 1990, but oak was already by far the preferred and best wood to make barrels from, and no one objects too much about this restriction when there are also so many species to choose from. From American to European or even the exotic mizunara oak of Japan. The impact of cask maturation on wine had been observed since at least 500BC and choice of cask has always been one of the ways whisky producers have innovated. It is possible that some of these ‘innovations’ were romantic mistakes or fortuitous coincidences, but one thing’s for sure, they were all experimental. Perhaps it was a coincidence that many blenders were based around the port of Leith which was also home to vast warehouses of wine. But it was a sense of innovation that brought the two together. This is how the early blenders began to experiment, putting their spirit into casks that had previously held port, madeira and sherry; or even claret, rum or brandy. To this day, any cask is available to the modern producer, provided they can demonstrate that it had historical usage in the industry. Dr Bill Lumsden, Director of Distilling and Whisky Creation (what a title!) for the Glenmorangie and Ardbeg brands, believes that up to 60% of the flavour of a finished whisky comes from the wood and ‘indrink’ (the new make spirit’s interaction with the cask’s previous inhabitant). As a result, he has driven experimentation into this area, much of which, at Ardbeg in particular, has focussed on another crucial interface between wood and whisky – barrel char. All whisky barrels are charred before use, and between refilling. This isn’t (as you might expect) done to add smoky flavours to the whisky, but rather to control the interaction between the wood and the spirit. It is also a crucial step in the barrel making process. The application of heat helps to bend the staves, but also caramelises the inside of the cask to produce those delicious vanilla, spice and toffee notes that whisky drinkers adore. Ardbeg Grooves (2018) - which was matured in ex-wine casks that had been charred so much that heavy grooves were formed in the surface of the wood. This gave it a uniquely mellow twist on the classic Ardbeg flavour profile. Ardbeg Alligator (2011) - named after the “alligator char” a phenomenon that develops after around 55 seconds of charring (as much as any producer will use) where the wood begins to crack and show the rough, shiny texture of alligator skin. So if you have your choice of different barrels, and can push the limits of charring, where next? The final frontier? That’s right, not content with alligator char, Ardbeg has also launched its whisky into space. Their first experiment took place in 2011 when they sent new make spirit and charred oak staves up to the International Space Station. After orbiting the earth at 17,227 miles per hour, 15 times a day for 971 days it returned and was compared to a control sample that had been matured in the same manner back on earth, or Ardbeg Warehouse No. 3 to be precise. 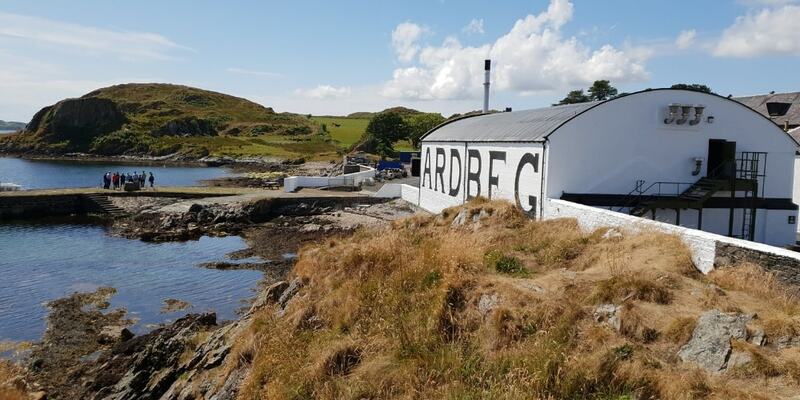 Dr Bill Lumsden wrote up the “maturation secrets of the universe” in a White Paper available in full on the Ardbeg website, but in short, he described the difference as "noticeably different" in terms of aroma and taste.